We are proud to be part of the amazing beauty professional community in San Antonio. At The Salon Professional Academy(TSPA), San Antonio we are not only dedicated to helping to grow the next generation of professional, we are proud to have our students working in some of the top salons in our area. We have worked to create a relationship with many of these salons and are proud to give our students the benefit of these connections as they work to build their careers. There are so many salons in the San Antonio Area that we can’t possibly list them all, but here are some of the ones closest to us, and some we proud to have as part of our TSPA family. This local salon has special ties with The Salon Professional Academy, San Antonio; they are our sister academy! Owned by Brandy and Dana, our own fearless owners, Pure Posh is an amazing salon, that has even employed several graduates of TSPA San Antonio! Head in today for an amazing service, and to see a few of our graduates in action! This multicultural salon in San Antonio, Texas is a favorite among our staff and students. Specializing in creating beautiful ethnic looks, we are proud to have several of our students employed at this unique salon. If you love bright colors and trendy cuts this eclectic salon might be right up your alley. With beautiful looks, and a few TSPA San Antonio alumni manning the chairs, you are sure to feel pampered and leave glowing at Medusa The Salon. 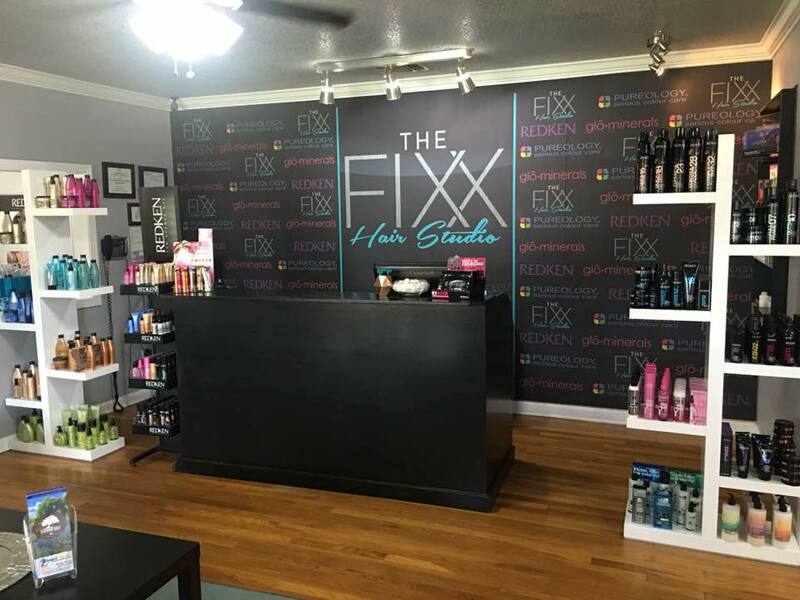 With a fun environment, upbeat atmosphere, and a staff that is ready and willing to help you look your best, The Fixx Hair Salon could be your go to. For great looks in the New Braunfels area give them a call today. This award winning salon in San Antonio, Texas is a great addition to our local beauty community. Their beautiful salon and dedicated staff are always seeking to push the limits on what the looks that they create, and build beautiful color sheens on a daily basis. A Redken based salon in the San Antonio Texas, Evolve Salon not only boasts several TSPA San Antonio alumni, but killer service in a stunning salon that will leave you feeling like a pampered super star. A brazilian blowout master, the stylists at Joyez Salon are ready to help you look your best for any occasion. Contact them today to see how they can help you, and make sure to say hi to our alumni while you are there! Mint Salon is an adorable boutique salon in San Antonio, Texas, this salon feels more like a family gathering! With a staff that has your needs at heart, and strives to give you a great experience, you will truly feel at home here! This local salon and spa has been voted number one in San Antonio, and for good reason, the staff and facility are kind, welcoming and will help you feel right at home. From hair cuts to massages, you can get it all at Sergio’s. This true blue texas salon is dedicated to giving you not only the best service, but the best experience you can hope for. With experienced stylists and the skills you are looking for, you are guaranteed to leave smiling. Are you ready to support the beauty professional community in San Antonio? With so many options you might be feeling overwhelmed! Consider starting where it all begins and schedule a visit in our student salon training area. Experience a service with a future professional, and find your next stylist behind our doors. Contact us today to schedule your pampering salon experience. *All services provided by students in training under the supervision of licensed professionals.